We’re all trying to find ourselves. Developmental psychologists call this period of discovery between 18 and 29 years old “emerging adulthood,” a time in a person’s life defined by exploration, instability, self-focus, and a lingering feeling of being in between. Mac Miller, who tragically lost his life on September 7, 2018 due to an apparent overdose, embodied this phase of human development. In his final studio album, Swimming, he brought that in-between feeling so many of us are going through to the forefront. I was first introduced to Mac Miller almost 10 years ago when I first started my undergrad. I still have the copy of XXL Magazine’s 2011 Freshman 10 issue that Mac graced the cover with the likes of Kendrick Lamar, YG, and Meek Mill. His career proved he could go toe-to-toe with any of his contemporaries from that cover, as he garnered respect and admiration not only from them, but from the hip-hop world at large. Mac easily could have stayed in the “frat-rap” box into which he was unjustly pigeon-holed early in his career. However, Mac’s captivating, overarching narrative — one of somebody coming to grips with who they are as an individual — surpassed any label that could have been placed on the emcee. If you’ve ever had a loved one dealing with any kind of mental health issue, tracks like the aforementioned “Ladders” and vividly candid “2009” give the listener the sense that maybe Mac had made it out of the clutches of his inner demons. Unfortunately, just a few short tracks later on the album on “Dunno” and “Jet Fuel,” you see a side of Mac that is crumbling under the pressures of dealing with celebrity, fame, high profile relationships (and break-ups), and pre-existing alcohol and substance abuse problems. Mac manages to oscillate between clarity and confusion throughout the album, but often leaves the listener with more questions than answers about how to deal with this age of feeling in between. The outpouring of love and admiration for Mac over the weekend after his passing — not only from the hip-hop community, but from the entire music world — was one of the most heartfelt events I’ve ever witnessed on my timeline. Collaborators and admirers described Mac as a shining light who, despite his own personal struggles, often sought to bring the best out of anyone in his presence. Mac’s passing brings up an issue plaguing so many of the young, up-and-coming rappers of today: normalized dependence on alcohol and substance abuse. Growing up in the ‘90s, many of the rappers we lost succumbed to the turbulent environments that played as pivotal backdrops to their music. The rappers we’re losing today may very well still have to deal with those same tumultuous surroundings; however, many have also recently lost inner battles with depression, isolation, and coping mechanisms that led them down the destructive path of prescription drugs, substance abuse, and alcoholism — an inner battle that implored the likes of J. Cole to reach out on Twitter to anyone struggling with the same issues that cost Mac his life. 26 is young. That seems kind of obvious to say. 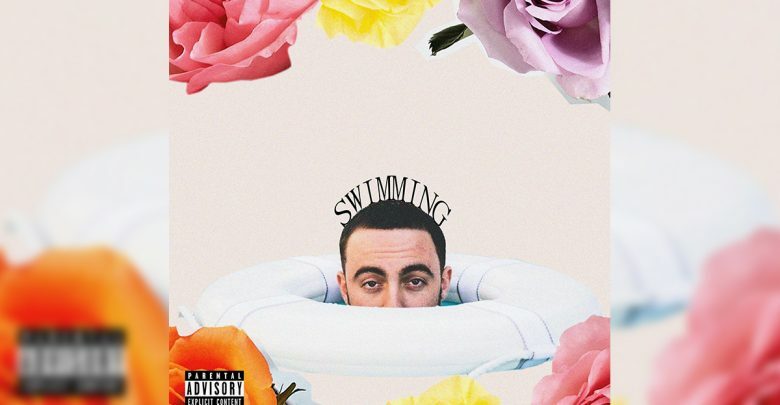 Many of the retrospectives and tribute pieces that came out covering Mac’s life and death mourned the lost potential of a great voice in music who was finally starting to find himself and get past that in-between space on Swimming. Mac, rest in peace, and thank you.